In honor of the Outback Bowl yesterday, Outback Steakhouse is running a special where you can get a FREE appetizer with any purchase. 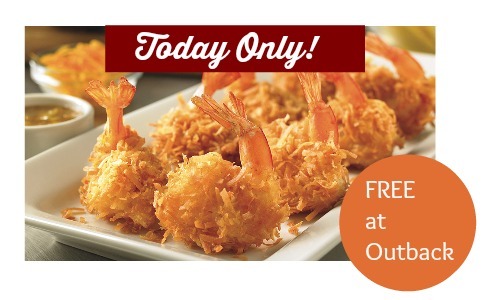 Since Wisconsin won yesterday, you can get a FREE Coconut Shrimp appetizer! To get your free appetizer, just mention “Outback Bowl” to your waiter or waitress and you’ll receive your FREE Coconut Shrimp. But make sure you head there for lunch or dinner soon because this offer is valid today only.